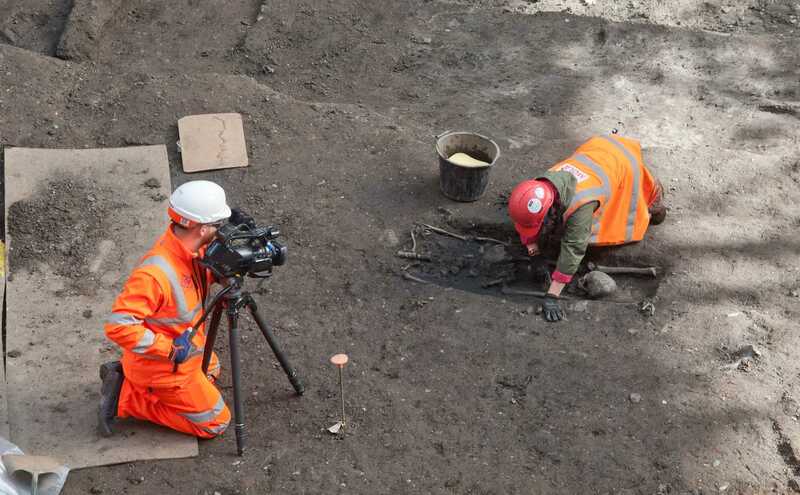 A Roman cemetery lay in the Liverpool Street area to the north-east of the Roman settlement. 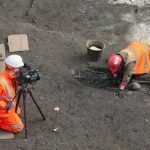 The Roman remains that archaeologists uncovered at the Liverpool station tell a very different story than the Bedlam burial ground skeletons. 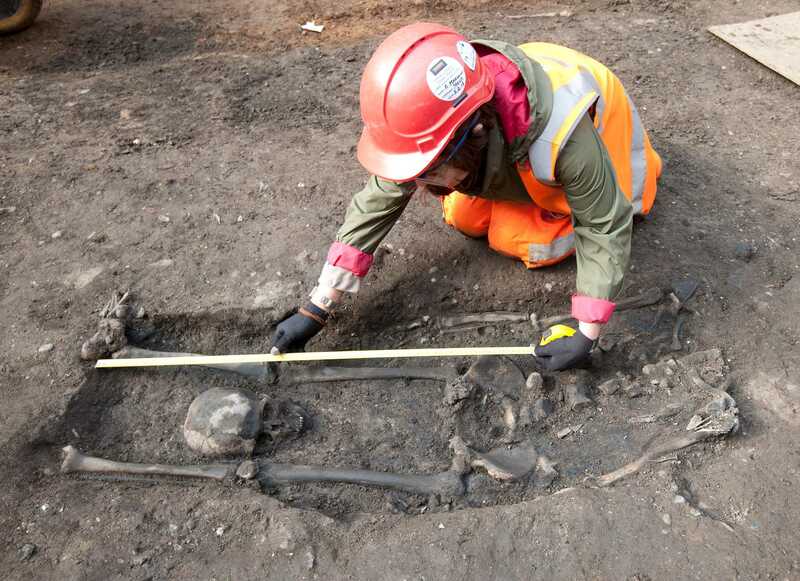 During the Roman period, some of the burials appear to have been disturbed by activity, such as dumping, reclamation and work on the nearby road. 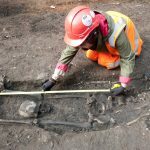 To the south of the road eight burials were found. Three of these were decapitations, one with the head placed between the legs. 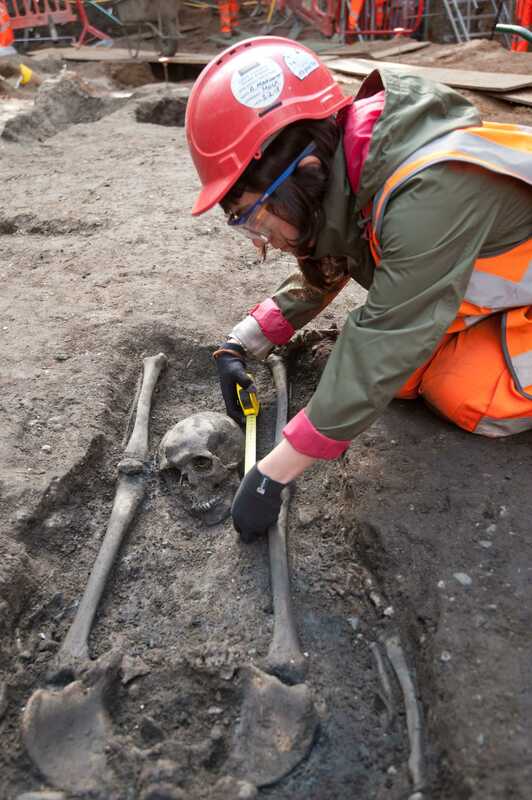 Analysis of the bones indicated that the heads were removed with sharp bladed weapons. It is not possible to say whether beheading was the cause of death or whether the heads had been removed after death, perhaps as some form of ritual. Health: Lesions in the orbits (eye sockets) indicate she may have been anaemic. Joint disease in the spine (Schmorl’s nodes) indicates she undertook heavy lifting and hard work. Pathology: The head was removed by two cuts around the time of death. It is not possible to say if these resulted in her death or took place shortly after death. The upper cut went diagonally through the 5th and 4th cervical vertebrae, taking out the base of the 5th. This almost certainly did not sever the neck. The lower cut went through the 6th and 7th cervical vertebra and would have severed the head from the body.